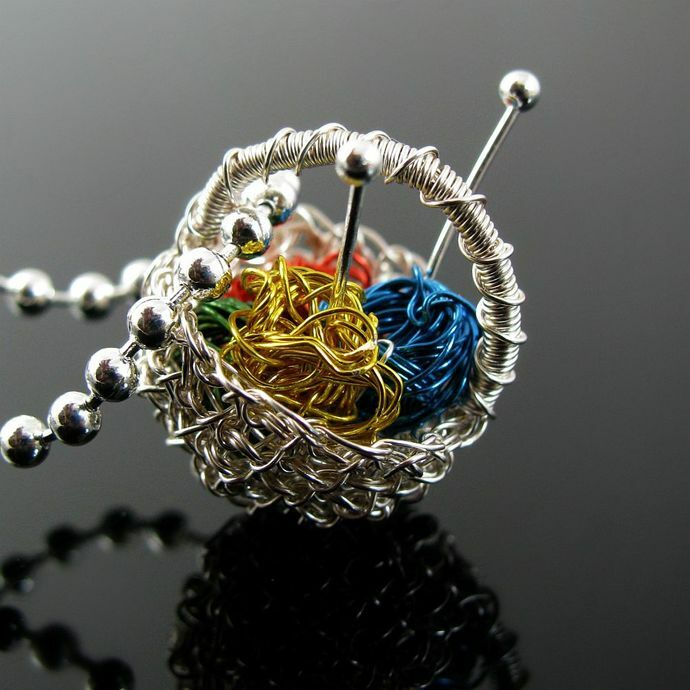 Knitting or crocheting is your or a loved one's passion? 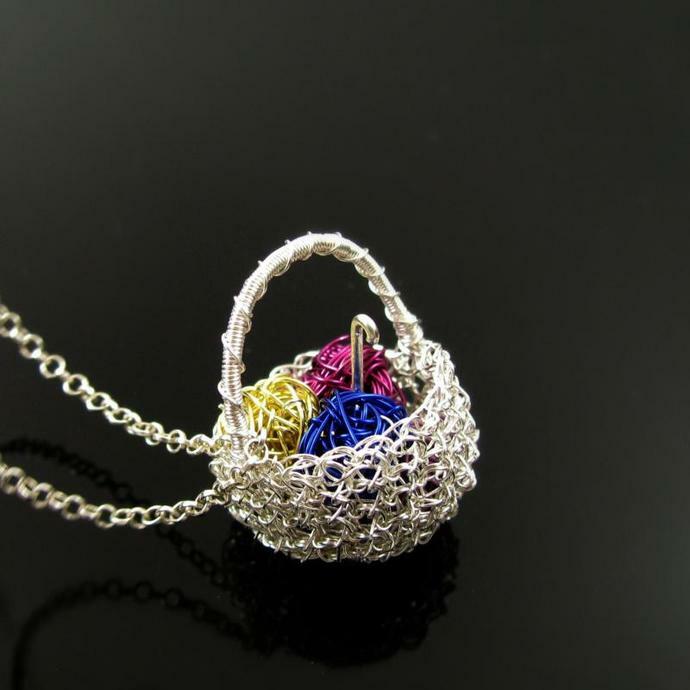 Why not show it to the world with a tiny basket hand crocheted from fine silver wire, filled with balls of colored copper wire "yarn" and two sterling silver knitting needles? 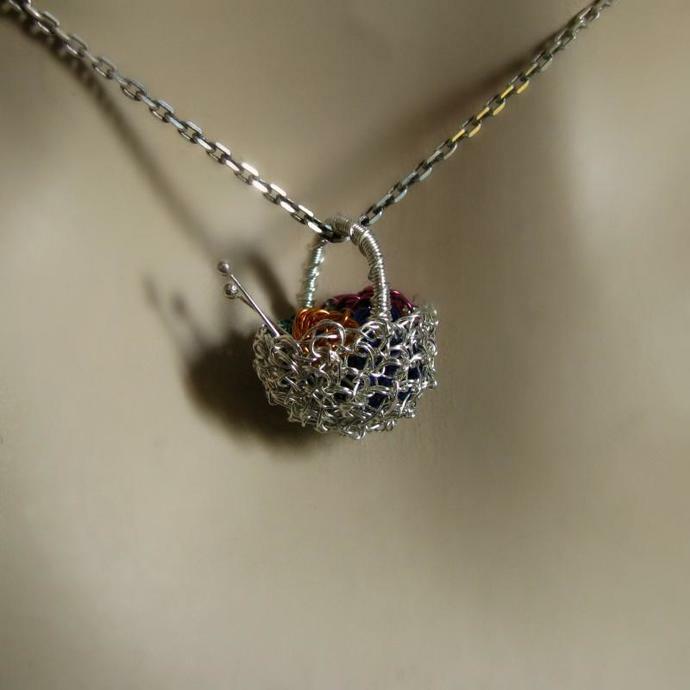 The pendant is made to order. 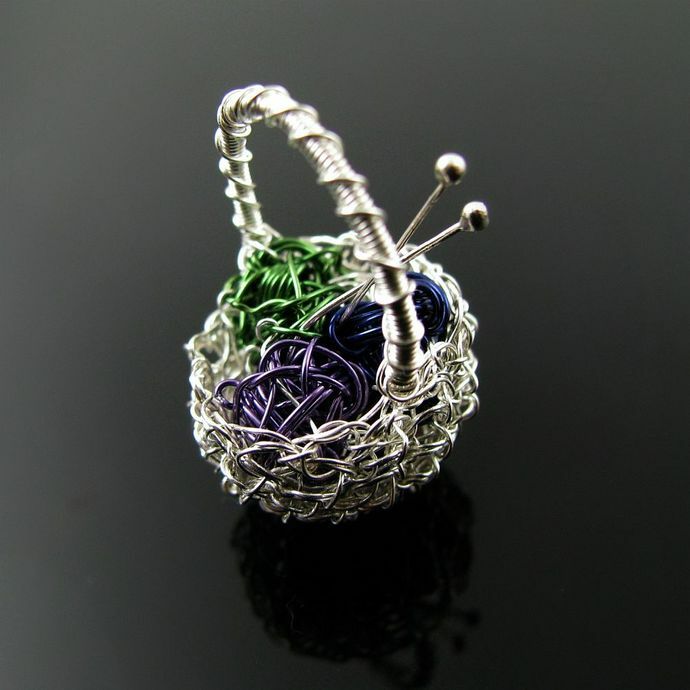 These little baskets are just samples to give you an idea of what the pendant will look like, either with knitting needles or a crochet hook. 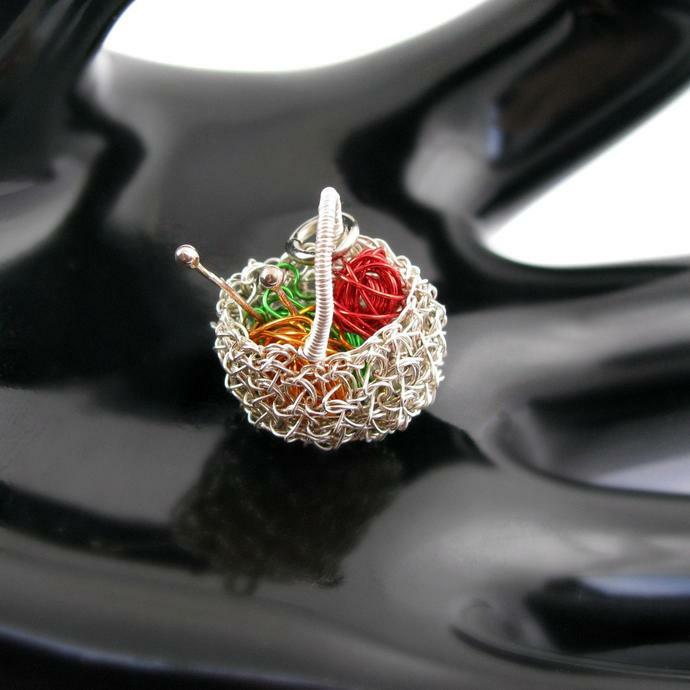 Shipping for a custom order in which you choose the colors for the filling will take about a week at most. 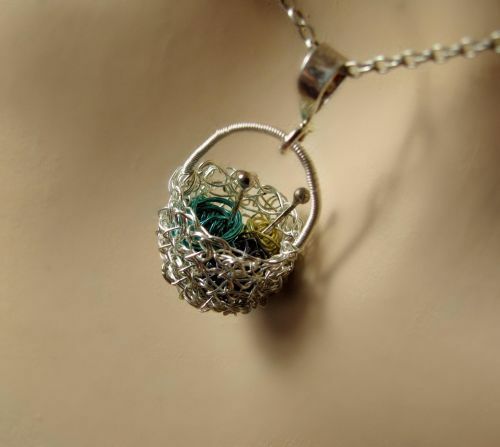 Each piece is made entirely by hand, therefore none will look exactly like the other. Size will be at about 2 cm or 7/8 inch. 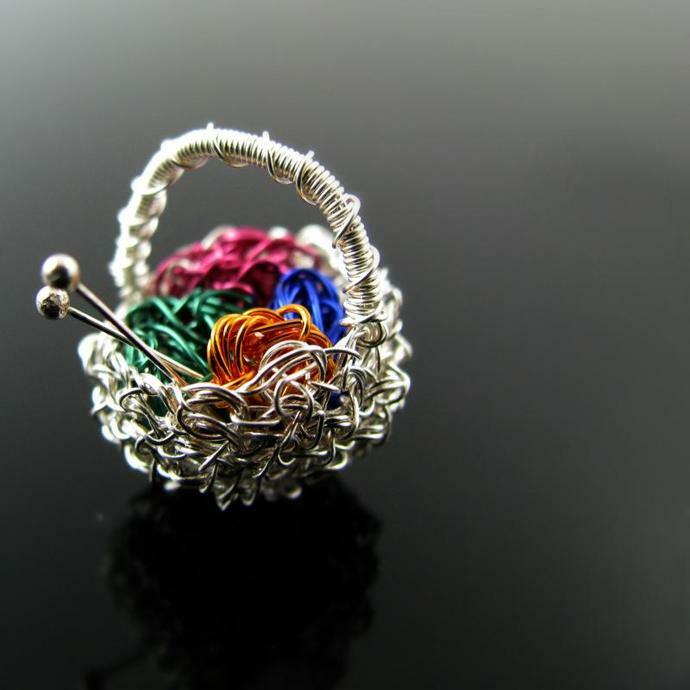 Have a look at my colored copper wire baskets, too! I can also make earrings instead of a pendant (that however will change the price).